Canada's only independent low fare carrier, Flair Airlines has announced today that it will be introducing non-stop flights to six popular U.S. destinations for this winter. The new routes will greatly extend Flair's already rapidly growing route network, to Florida's Orlando International Airport, St. Pete-Clearwater (Tampa Bay) and Miami as well as to Palm Springs, Las Vegas and Phoenix-Mesa Airport. "The majority of our new services concentrate on Edmonton and Winnipeg," said David Tait, Flair's Executive Chairman; "Having brought low fare service to 10 Canadian cities this summer, we are now taking the show on the road and heading south to some of the most popular winter getaway spots: Escaping the great Canadian winter will cost a lot less this year." For the winter schedule, Flair has also announced increased domestic service with new routes between Toronto to Winnipeg (daily) and Calgary to Abbotsford. "This is great news, said Tom Ruth, EIA President and CEO. 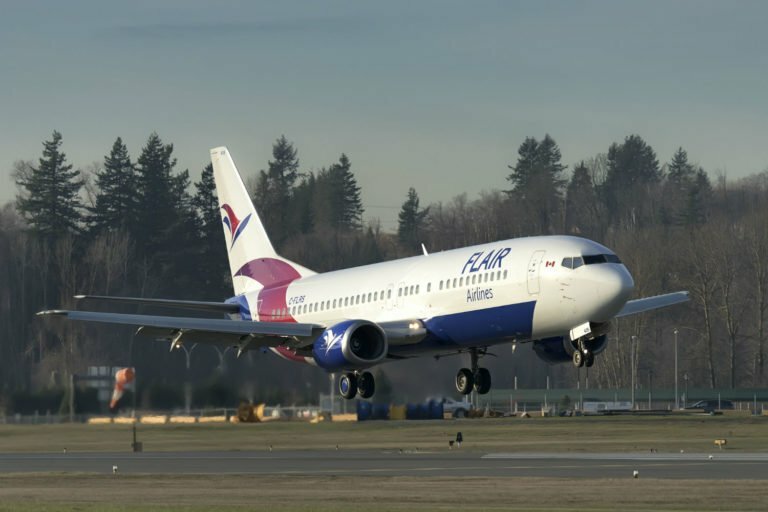 "Flair Airlines is adding more options for our region, flying from or through Edmonton." Barry Rempel, Winnipeg Airports Authority President and CEO said, "We welcome today's announcement providing exciting new travel options from Winnipeg Richardson International Airport. I would like to thank Flair for the confidence they have shown in this market as we continue working with carriers to connect Winnipeg with the world."